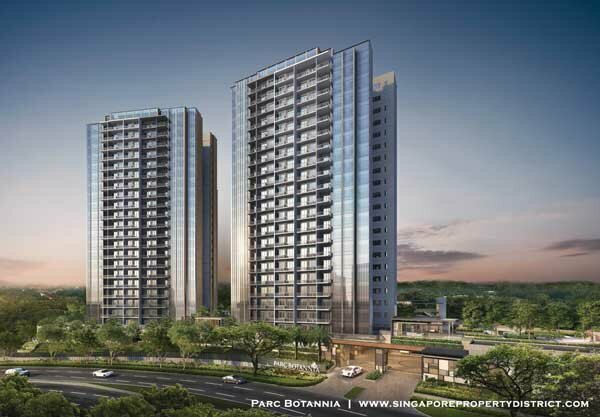 Parc Botannia is poised to send another round of frenzy, much to the delights of residents in this part of Singapore. This new launch comes with full condo facilities. Fernvale Road will soon be enriched with a brand new residential condo. Having a land size that is approximately 185,100 sf, it have the potential to become the ideal home for hundreds of people living in Singapore. Fernvale Road Condo, Parc Botannia will comprises of 735 residential units spanning across 4 towers of 22 Storeys high apartments. The strategic location of Parc Botannia provides everything you need for a comfortable life. Transportation is real close, recreational areas as nearby, and the neighbourhood is packed with schools, a shopping mall, restaurant, and a community hospital. You have everything you need in close range to your home. As a testament to this, the Company received the prestigious FIABCI Singapore Property Awards 2015 in the Residential (Mid Rise) Category for its project, The Laurels. Another project, Waterwoods, was also bestowed the BCA Green Mark Award (Gold Plus).